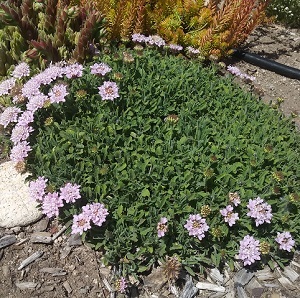 Charming, low-growing rock garden plant of small-scale groundcover. Finely cut evergreen foliage creeps across the ground, sprouting pincushion-like mauve flowers in late spring. Attractive seedhead tufts follow.